Pimp it up! 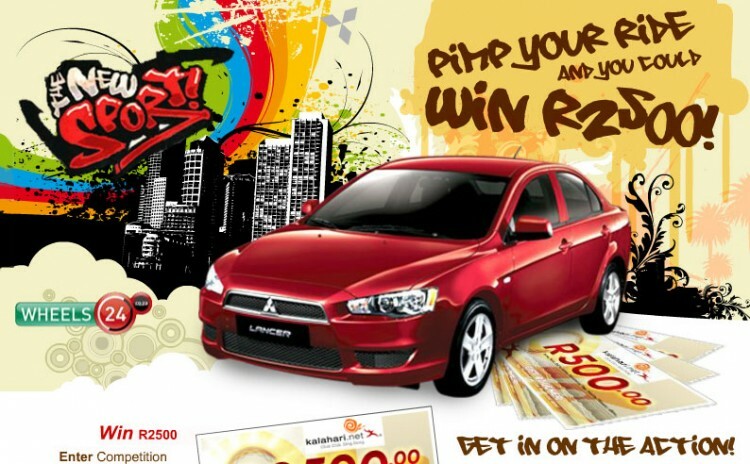 Customise your New Mitsubishi Lancer – change the mags, add spoilers, fins and stand a chance to Win R2500.00 worth of kalahari.net vouchers. An extensive online campaign, that included 2 mailers, a batch of banners and a flash microsite. Pimp Your Ride Now – Click Here.